All Roseland homes currently listed for sale in Roseland as of 04/25/2019 are shown below. You can change the search criteria at any time by pressing the 'Change Search' button below. If you have any questions or you would like more information about any Roseland homes for sale or other Roseland real estate, please contact us and one of our knowledgeable Roseland REALTORS® would be pleased to assist you. "Welcome to Wintergreen Mountain Resort! 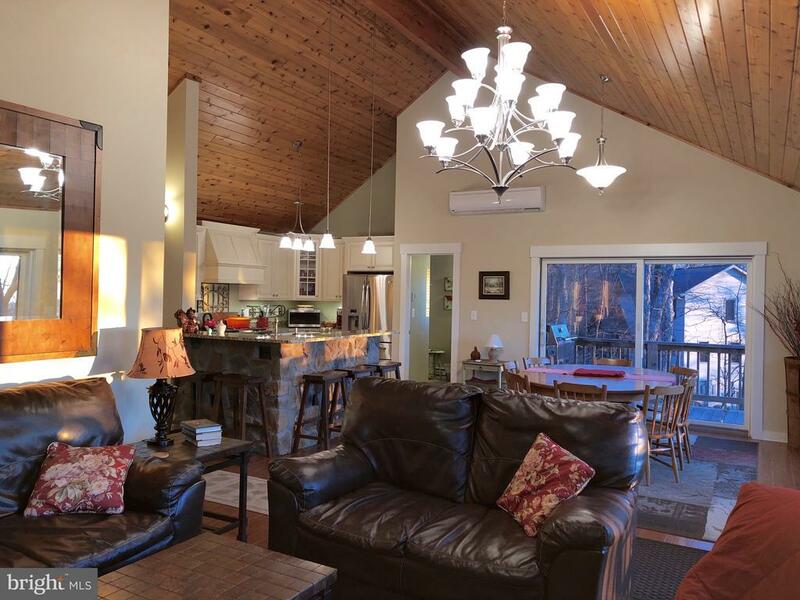 This 5 bedroom 4 bath chalet is comfortably nestled at the end of a cul-de-sac. The home features refined finishes throughout. The new gourmet kitchen with Wolf range with 4 burners and a griddle, granite counters, deluxe cabinetry and more. The family room invites you with a stone wall, wood-burning fireplace and vaulted tongue and groove wood ceiling and updated fixtures. Wood tile floors provide an attractive and durable foundation. The home features 3 rear decks, one on each level, providing exceptional outdoor living space for cooking, dining, relaxing or just enjoying the views. The new master bath features a jetted soaking tub- perfect for apres ski or hike, a double vanity with marble counter top, a glassed in stone tile shower and updated fixtures. The main level has a bedroom and newly updated full bath with glassed-in, stone tile shower and heated tile floors. The lower level offers 3 additional bedrooms and a hall bath. The basement level provides an exceptional entertaining space including: a billiards area, wet bar, game table and recreation room with stone wall and fireplace. Additionally, there is a 5th bedroom and en-suite full bath. You do not want to miss the opportunity to see this exceptional mountain retreat."